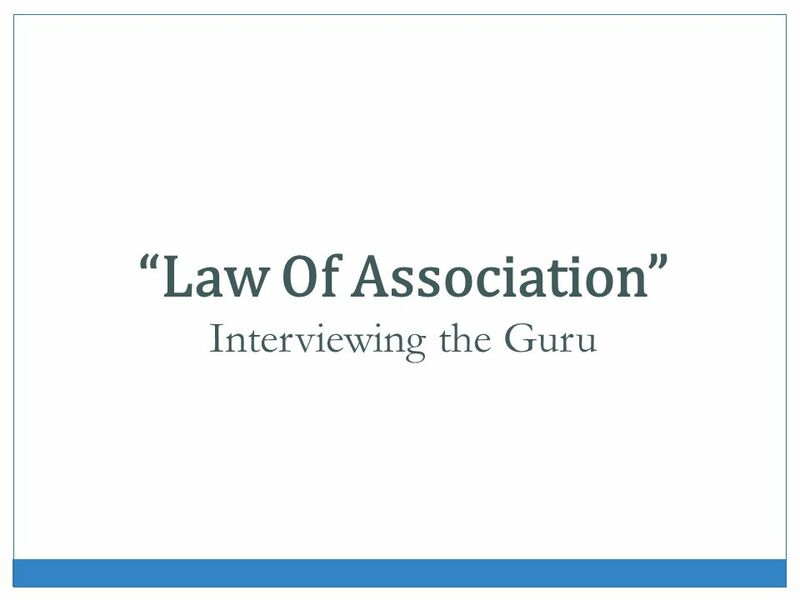 “Law Of Association” Interviewing the Guru. 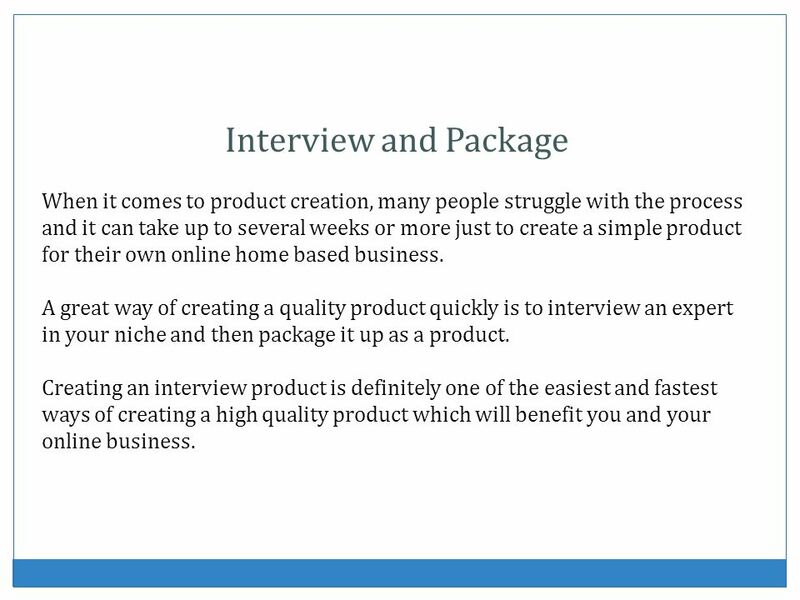 3 Interview and Package When it comes to product creation, many people struggle with the process and it can take up to several weeks or more just to create a simple product for their own online home based business. 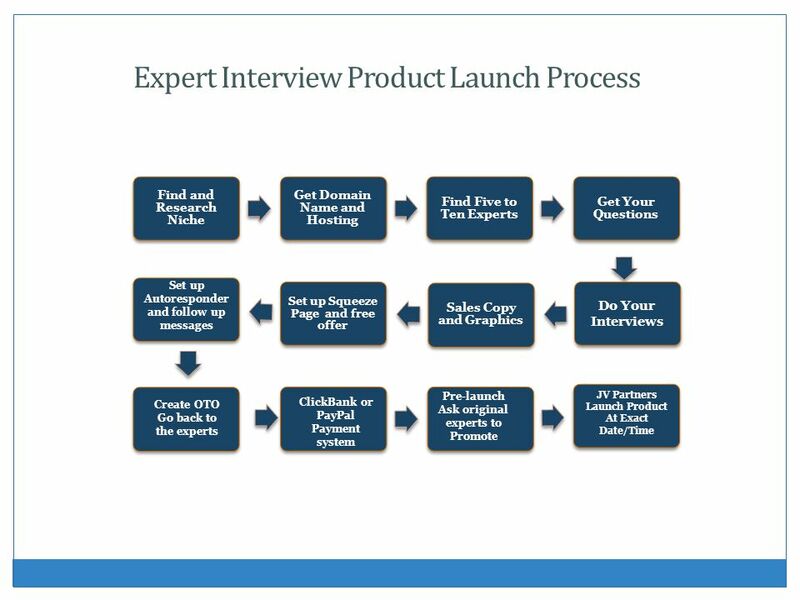 A great way of creating a quality product quickly is to interview an expert in your niche and then package it up as a product. 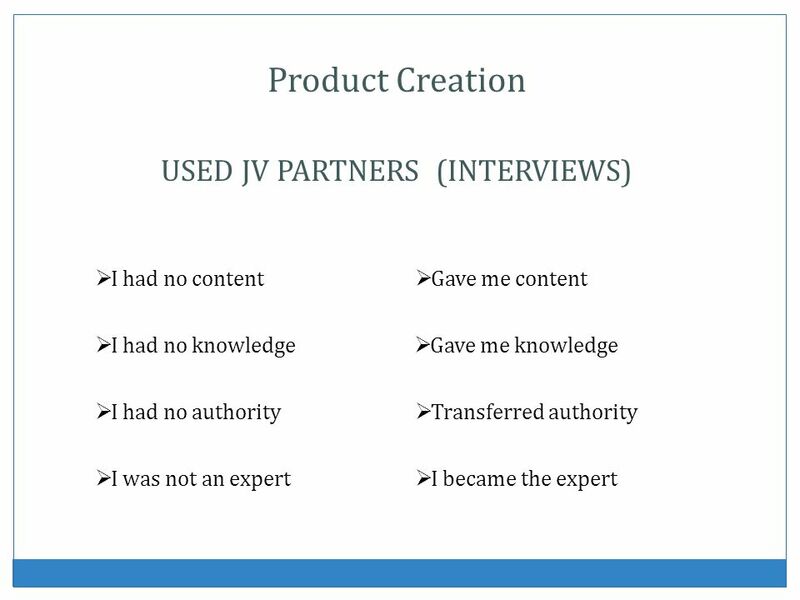 Creating an interview product is definitely one of the easiest and fastest ways of creating a high quality product which will benefit you and your online business. 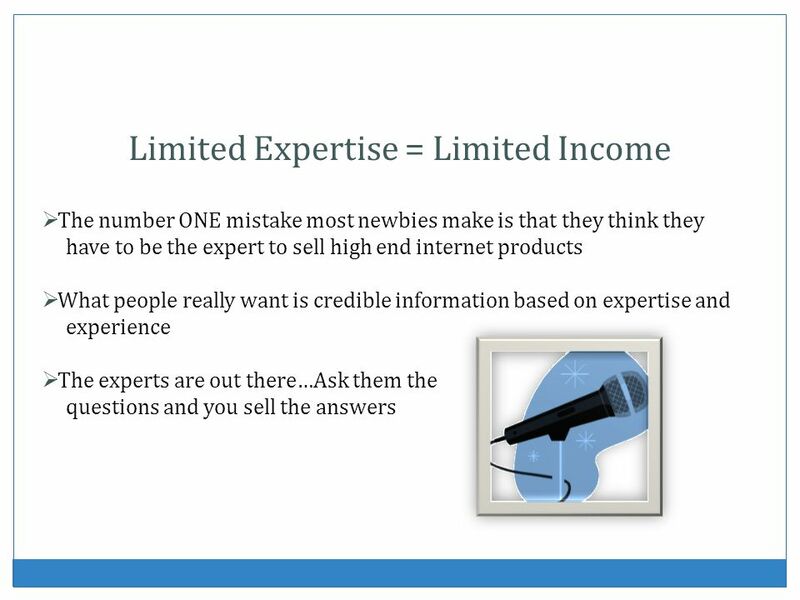 The number ONE mistake most newbies make is that they think they have to be the expert to sell high end internet products What people really want is credible information based on expertise and experience The experts are out there…Ask them the questions and you sell the answers The number ONE mistake most newbies make – They think that THEY have to be an expert or guru in order to sell good, high-value information products… and they could not be more wrong. What people really want is credible information based on expertise and experience – But YOU don’t have to be the person who has all that! 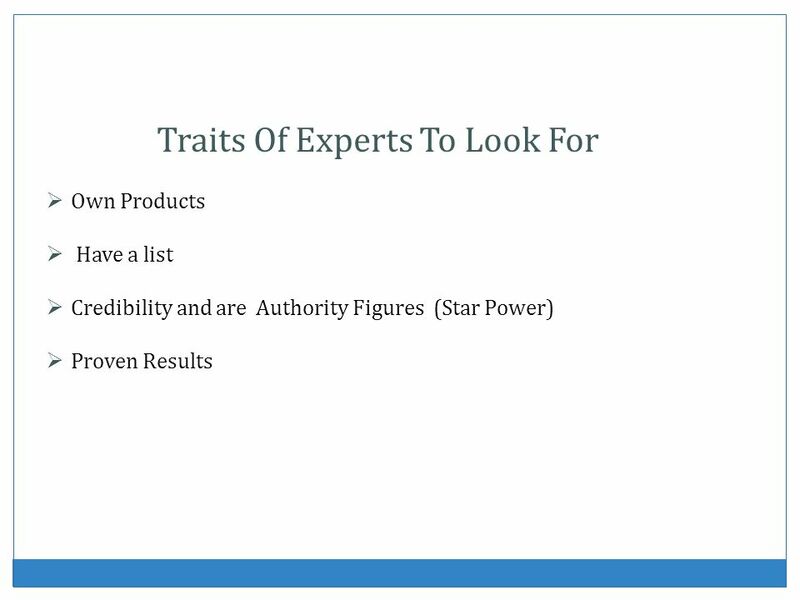 The experts are out there – Get hold of them. Ask them the questions and you sell the answers. FACT 1 – It’s easier to work with established leaders or gurus, than to work against them and try to beat them at their own game. FACT 2 – When people associate you with other gurus, you are branded as a guru too even though you may be a complete newbie. 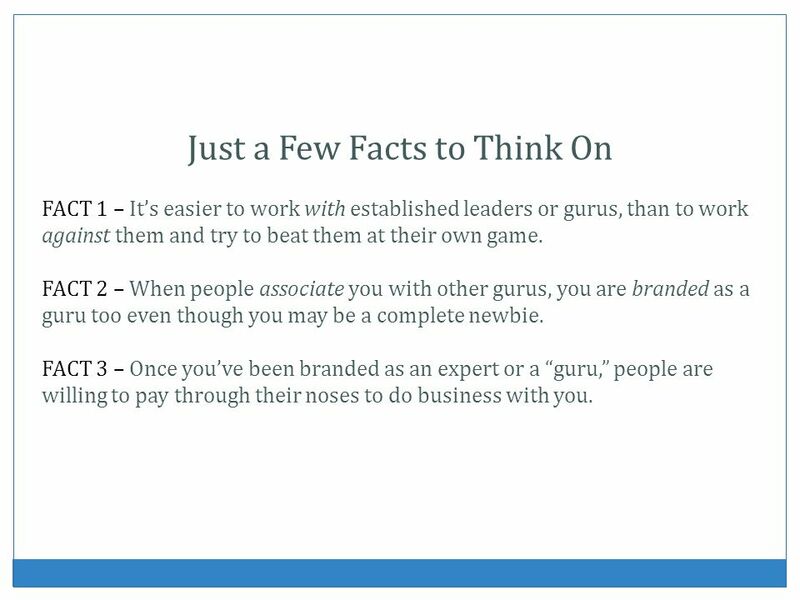 FACT 3 – Once you’ve been branded as an expert or a “guru,” people are willing to pay through their noses to do business with you. To get rich and famous fast, associate yourself with people who are ALREADY rich and famous. 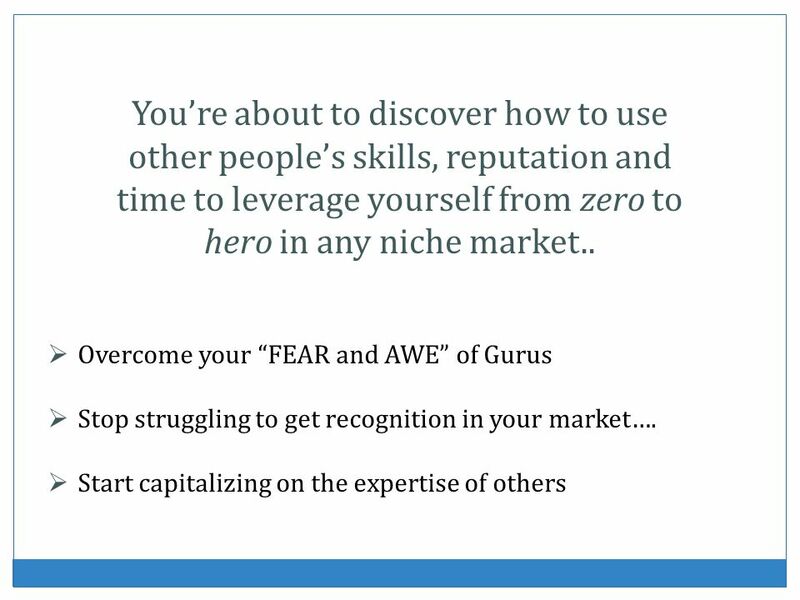 If you associate yourself with a guru (someone successful) you’re also seen as someone equally successful. If you’re seen with rich and powerful people, you instantly also become rich and powerful – It’s a fact of life! If you associate yourself with someone, you are perceived to be similar/alike to that person in both positive and negative ways. No matter what market you’re in, if you can convince the top experts and big names to work with you and brand yourself by leveraging on their expertise, contacts and reputation, you will make more money faster than all your competitors. 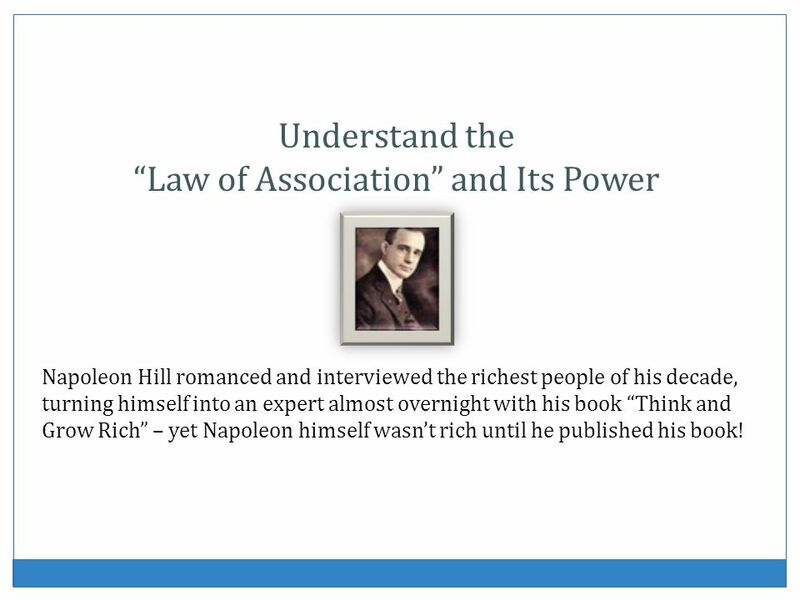 Understand the “Law of Association” and Its Power Napoleon Hill romanced and interviewed the richest people of his decade, turning himself into an expert almost overnight with his book “Think and Grow Rich” – yet Napoleon himself wasn’t rich until he published his book! No one cared that Napoleon Hill wasn’t rich; all they understood was that since he had access to the richest and most powerful men of his time, then he himself must be rich and powerful! 9 The Interview Why Do I Need to Do an Interview? 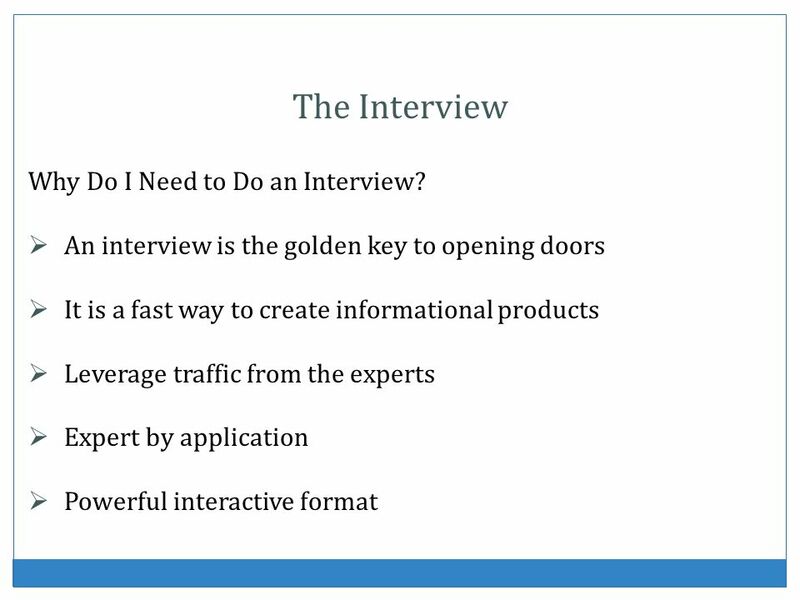 11 Why Learn How to Do Interviews Correctly? The best answer I have to this question is this: Doors will become closed to you if you don’t come across as knowing what you are doing! 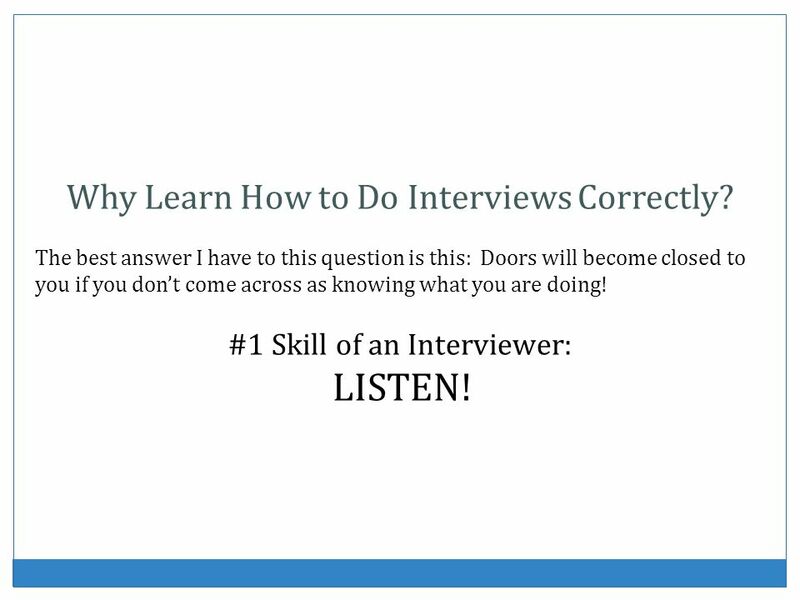 #1 Skill of an Interviewer: LISTEN! 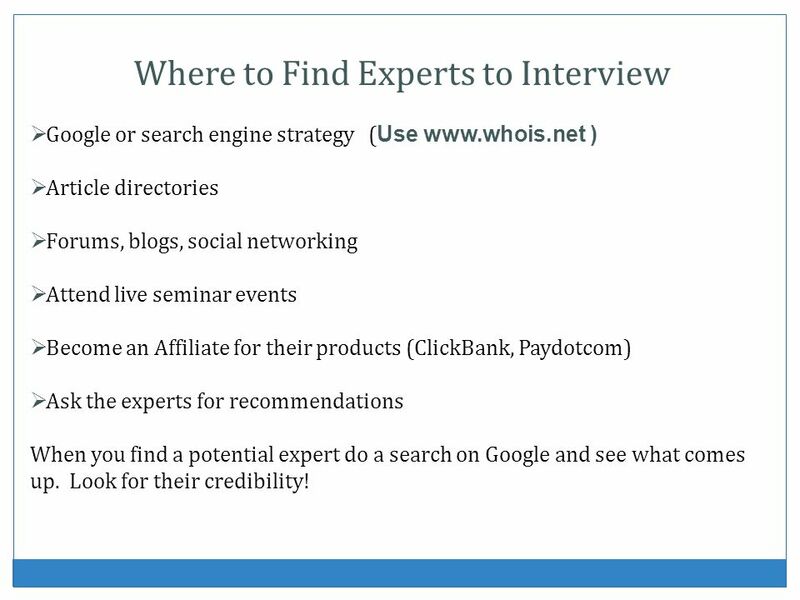 Google or search engine strategy (Use ) Article directories Forums, blogs, social networking Attend live seminar events Become an Affiliate for their products (ClickBank, Paydotcom) Ask the experts for recommendations When you find a potential expert do a search on Google and see what comes up. Look for their credibility! Google or search engine strategy – Open up Google and type in your niche keyword. Google will search for other Internet marketers and businesses that are in your niche. Use to look up domain names to get contact info if not on website. Article Directories – Find contact information in the resource box and contact the article’s author. Forums, Blogs, Social Networking – Utilize sites such as Twitter, Facebook, Linkedin, and testimonials from sales pages. Attend Live Seminar Events – There is no better way to form relationships than the Face-To-Face meeting…. This is where real interviews take place. 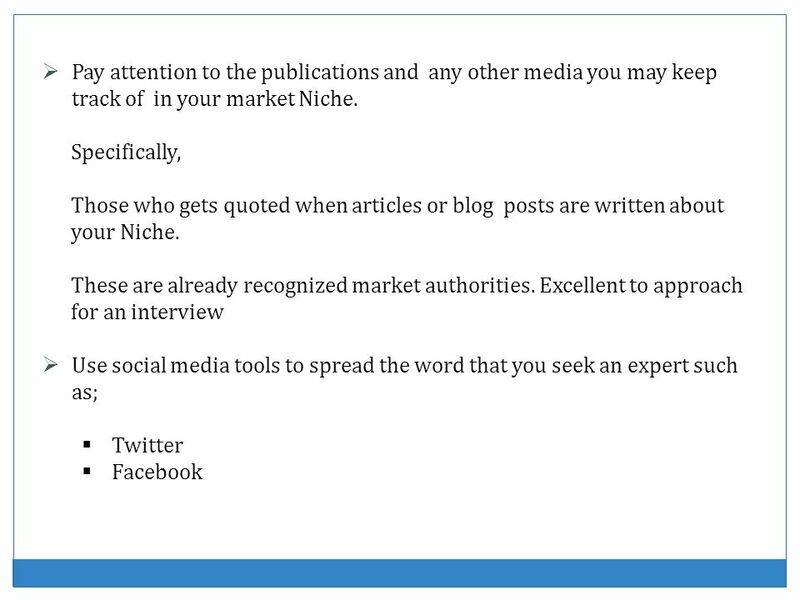 14 Pay attention to the publications and any other media you may keep track of in your market Niche. 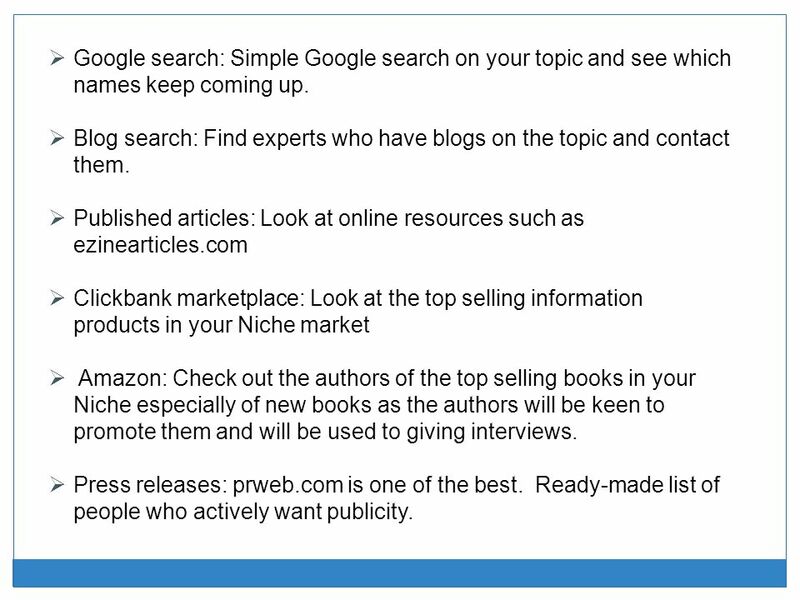 15 Google search: Simple Google search on your topic and see which names keep coming up. Blog search: Find experts who have blogs on the topic and contact them. Published articles: Look at online resources such as ezinearticles.com Clickbank marketplace: Look at the top selling information products in your Niche market Amazon: Check out the authors of the top selling books in your Niche especially of new books as the authors will be keen to promote them and will be used to giving interviews. Press releases: prweb.com is one of the best. Ready-made list of people who actively want publicity. Don’t go to somebody when you don’t know the first thing about them. The person you approach to do an interview with wants to know you’ve done a little homework. 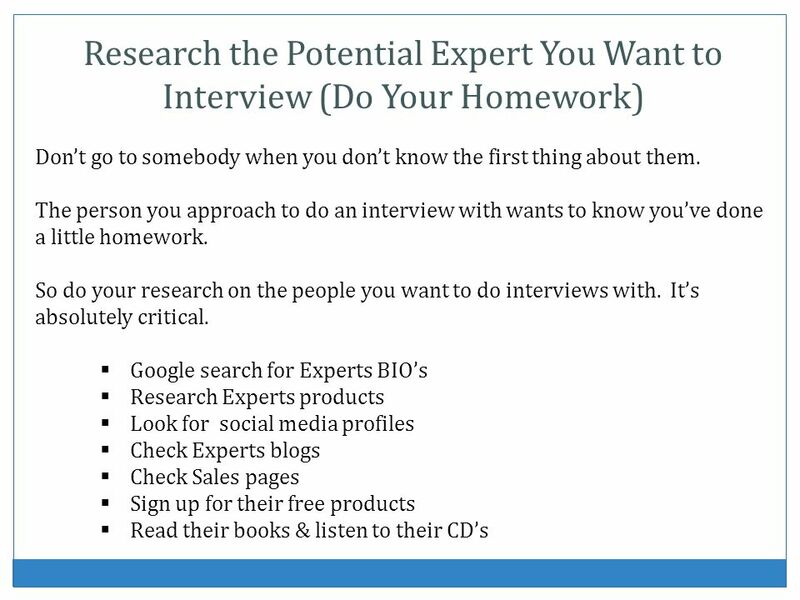 So do your research on the people you want to do interviews with. It’s absolutely critical. Google search for Experts BIO’s Research Experts products Look for social media profiles Check Experts blogs Check Sales pages Sign up for their free products Read their books & listen to their CD’s Read their books, listen to their CDs, Read their BIOs, read their profiles on social sites, read their sales copy, check out what kind of products they have. Follow them on places like Twitter.com, Facebook, etc. to learn their likes and dislikes. Know that they will have good content to share with your audience. 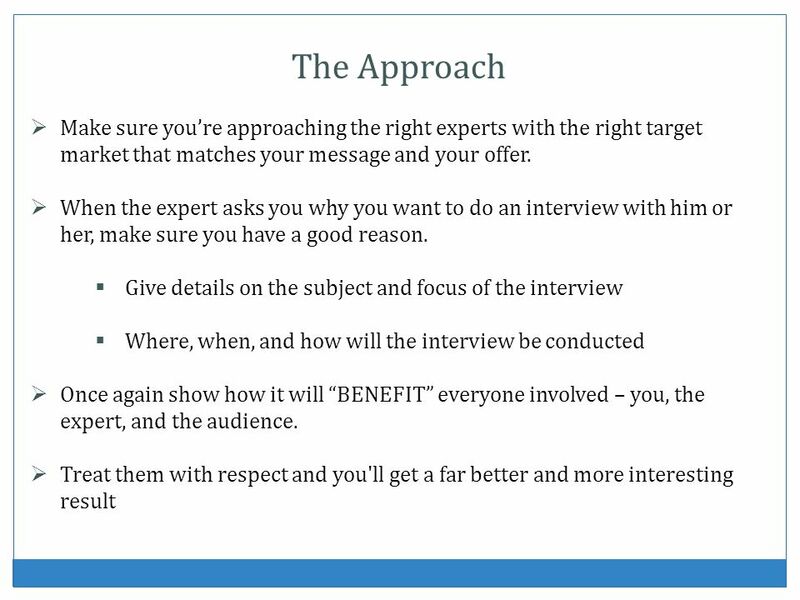 17 The Approach Make sure you’re approaching the right experts with the right target market that matches your message and your offer. When the expert asks you why you want to do an interview with him or her, make sure you have a good reason. 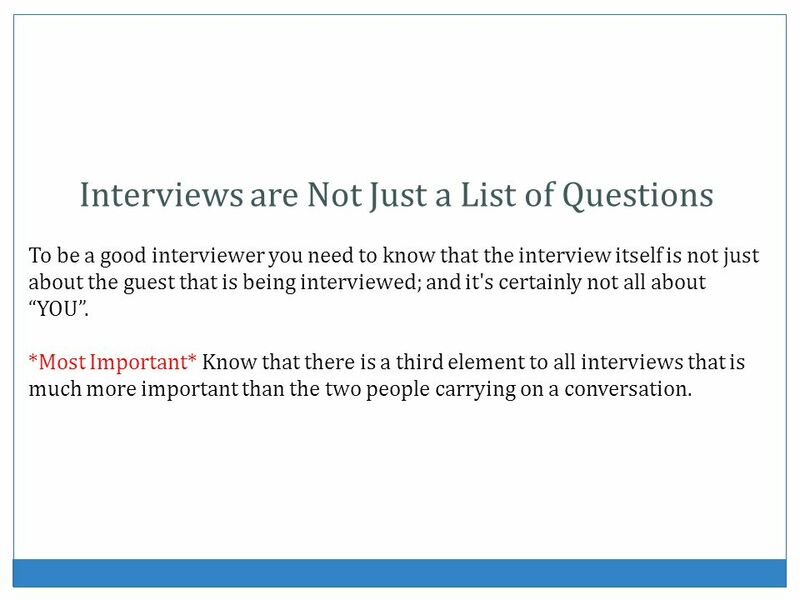 Give details on the subject and focus of the interview Where, when, and how will the interview be conducted Once again show how it will “BENEFIT” everyone involved – you, the expert, and the audience. Treat them with respect and you'll get a far better and more interesting result The approach is key, especially the way you approach the bigwigs, the big list owners and the big names out there. The approach must be ‘you-oriented’. You know, “How can I help you?” It has to be something that’s beneficial to them. 18 YOU NEED THEM…THEY DON’T NEED YOU! 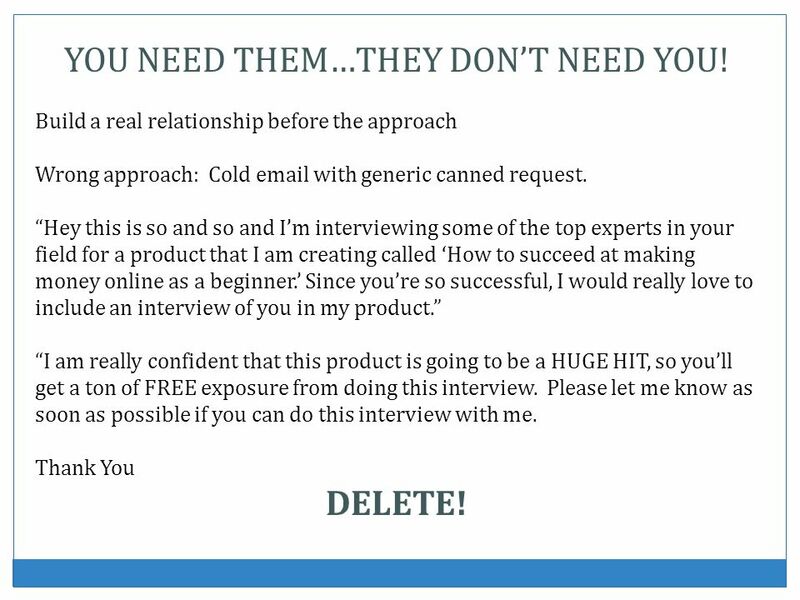 Build a real relationship before the approach Wrong approach: Cold with generic canned request. 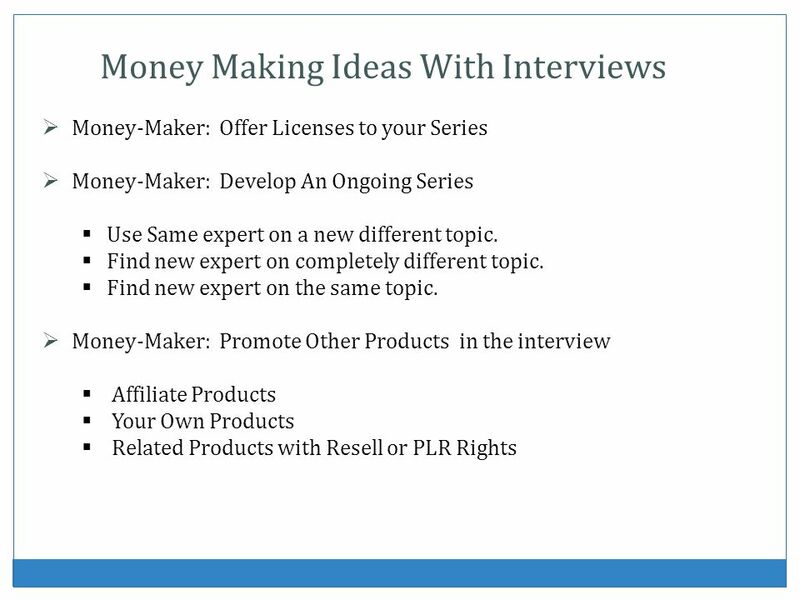 “Hey this is so and so and I’m interviewing some of the top experts in your field for a product that I am creating called ‘How to succeed at making money online as a beginner.’ Since you’re so successful, I would really love to include an interview of you in my product.” “I am really confident that this product is going to be a HUGE HIT, so you’ll get a ton of FREE exposure from doing this interview. Please let me know as soon as possible if you can do this interview with me. Thank You DELETE! 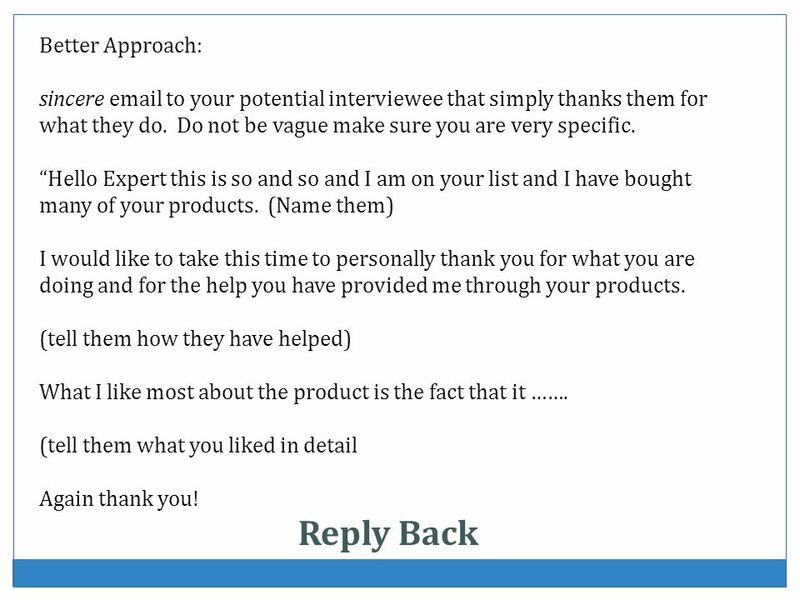 20 Written Interview questions to Expert and they reply with an answer back. You lose the dynamic of an actual conversation. You lose the possibility of the follow-up to the questions you get back. 21 Recorded Audio This is the next best way if you can’t get a live, face-to-face interview on camera. You still have the audio and can add visuals to it later such as pictures of yourself and the person being interviewed, graphs and charts, etc. 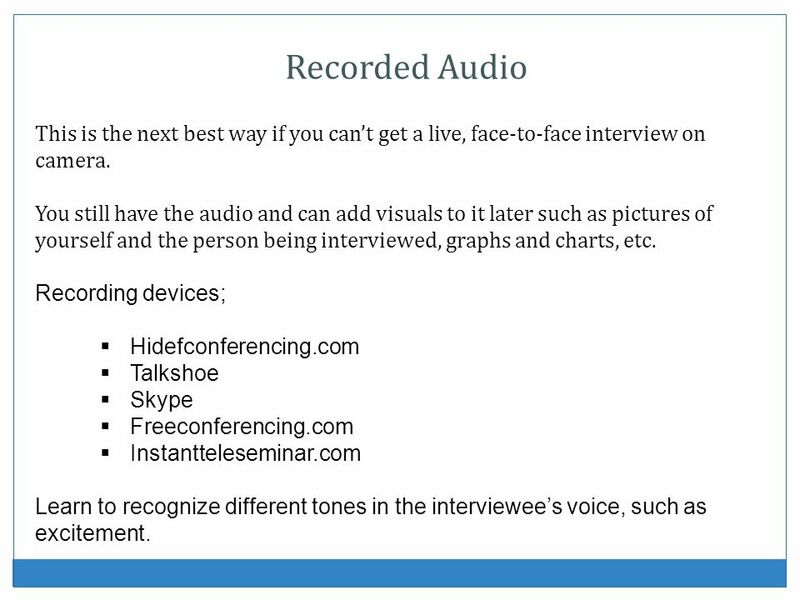 Recording devices; Hidefconferencing.com Talkshoe Skype Freeconferencing.com Instantteleseminar.com Learn to recognize different tones in the interviewee’s voice, such as excitement. You can turn it into text for an e-book. You can use any call service that has a recording device, such as talkshoe, skype, or Learn to recognize different tones in the interviewee’s voice, such as excitement. If you have the face to face video, you can strip out the audio to use with mp3 or you can have audio put into text. 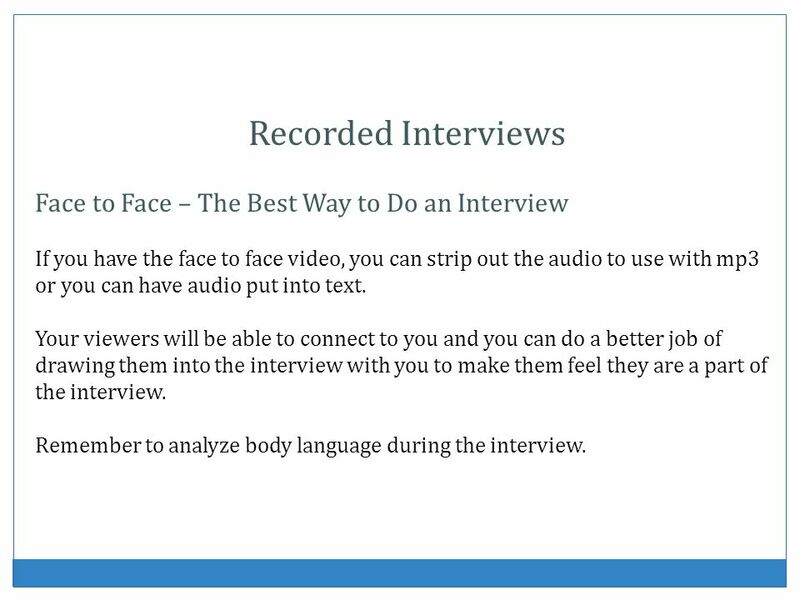 Your viewers will be able to connect to you and you can do a better job of drawing them into the interview with you to make them feel they are a part of the interview. Remember to analyze body language during the interview. Some information does not show in the answers, but in the body language…. If the interviewer wants to go beyond the surface and find out why people act or think the way they do, it is crucial to also analyze body language. 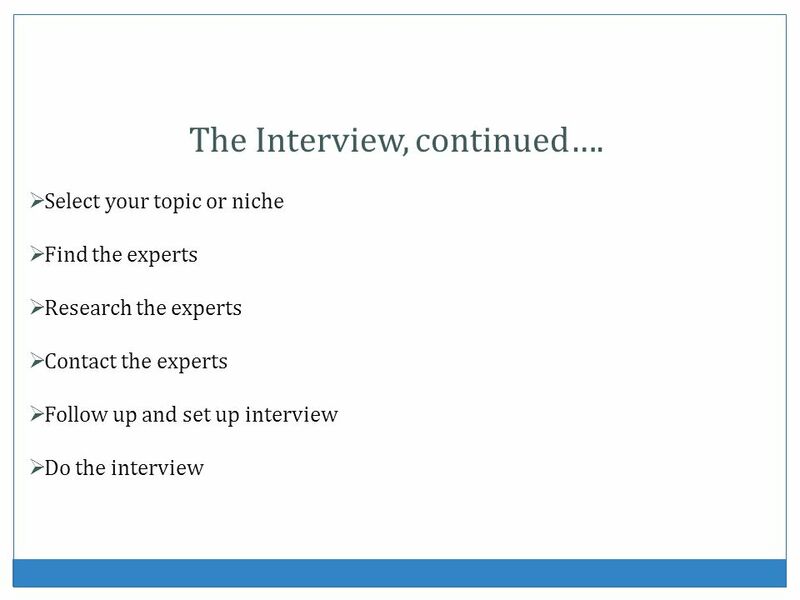 When you have lined up the experts to interview, you should prepare a list of about 10 questions you want to ask. 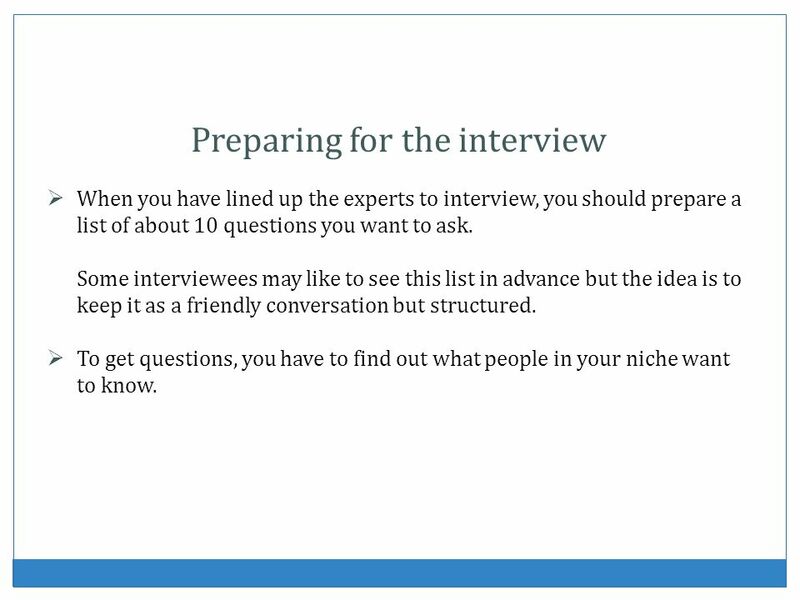 Some interviewees may like to see this list in advance but the idea is to keep it as a friendly conversation but structured. 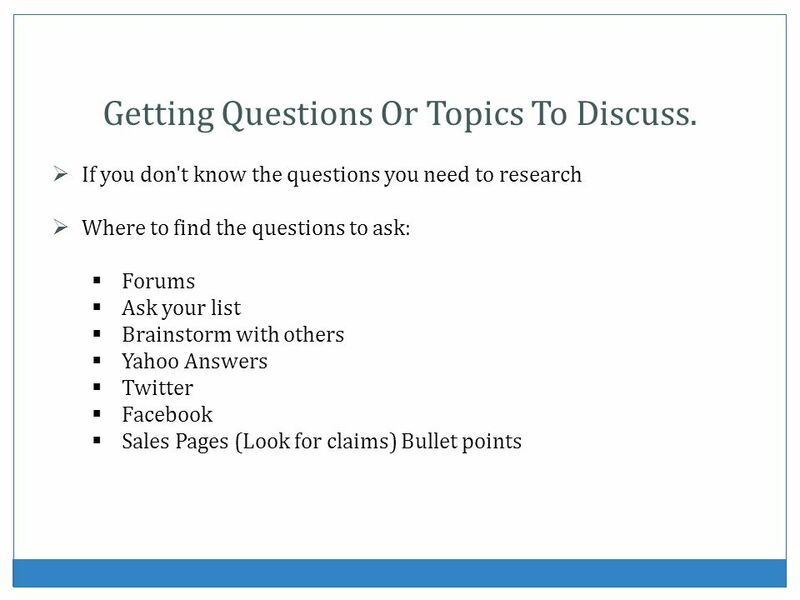 To get questions, you have to find out what people in your niche want to know. 24 Getting Questions Or Topics To Discuss. 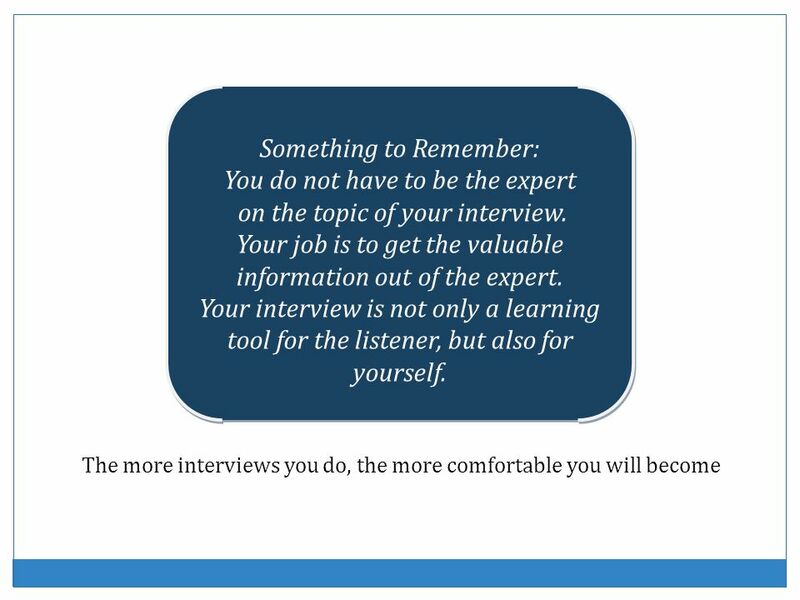 To be a good interviewer you need to know that the interview itself is not just about the guest that is being interviewed; and it's certainly not all about “YOU”. 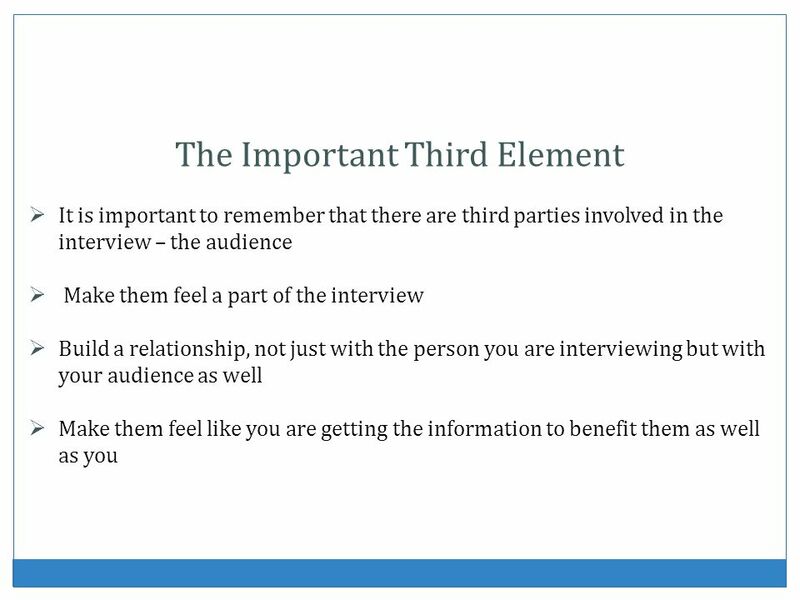 *Most Important* Know that there is a third element to all interviews that is much more important than the two people carrying on a conversation. You will know when you should talk, how much to say, and when to shut up. Shaken – A question completely unexpected. Stirred – Emotional and moving. Gently tossed – Easy question…. Maybe something new for the audience. Over easy – Completely expected. Important Questions to Ask: Who, What, Where, When, Why and How? 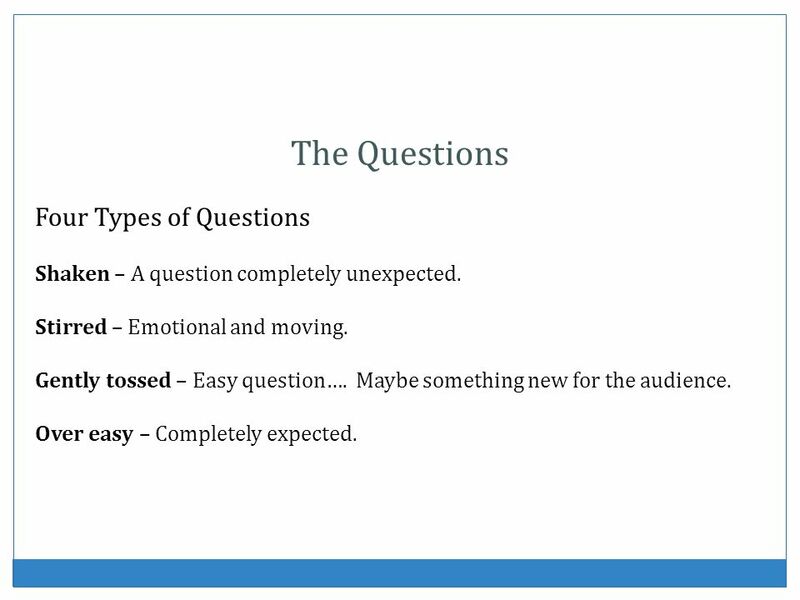 Open-ended questions will take some thinking on the part of the person you are interviewing. 28 Closed Questions Closed questions require short answers, with one word or phrase, like “yes” and “no”. 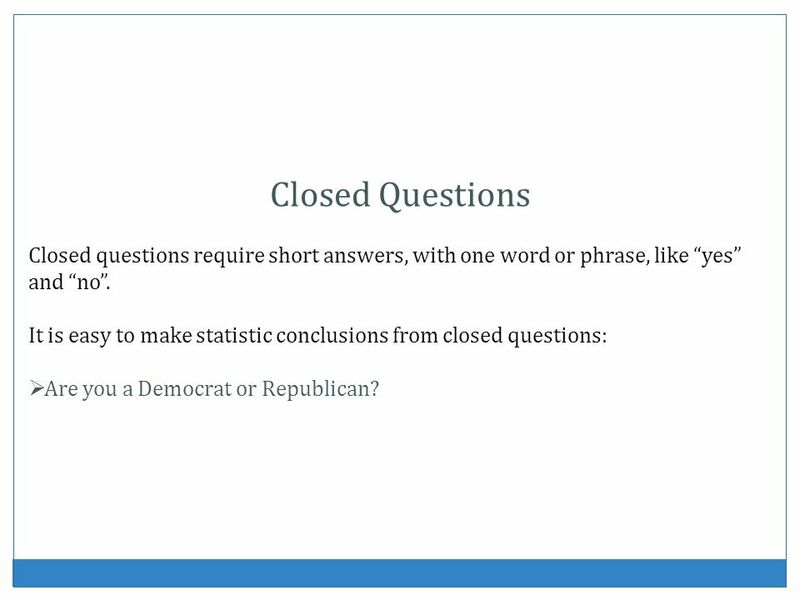 It is easy to make statistic conclusions from closed questions: Are you a Democrat or Republican? 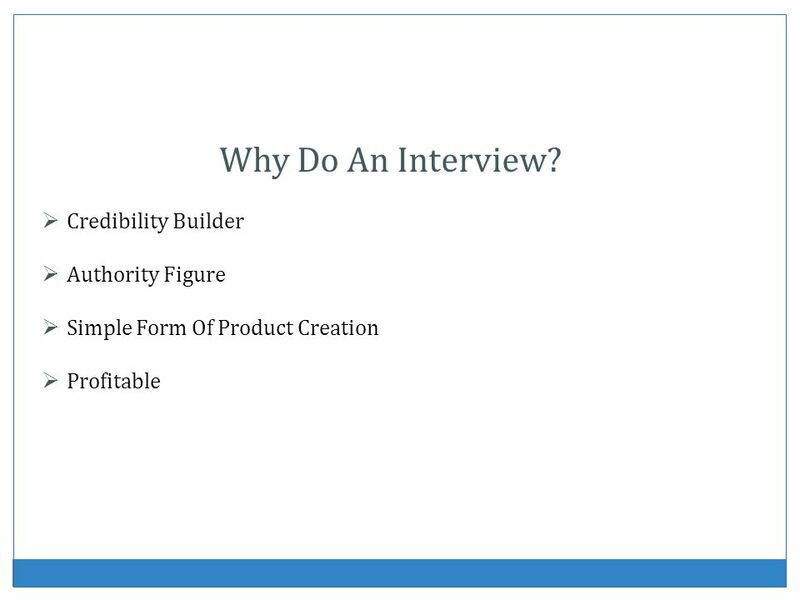 The questions are short and do not leave much room for the interviewee to reflect over the questions. They give you facts, are easy to answer. 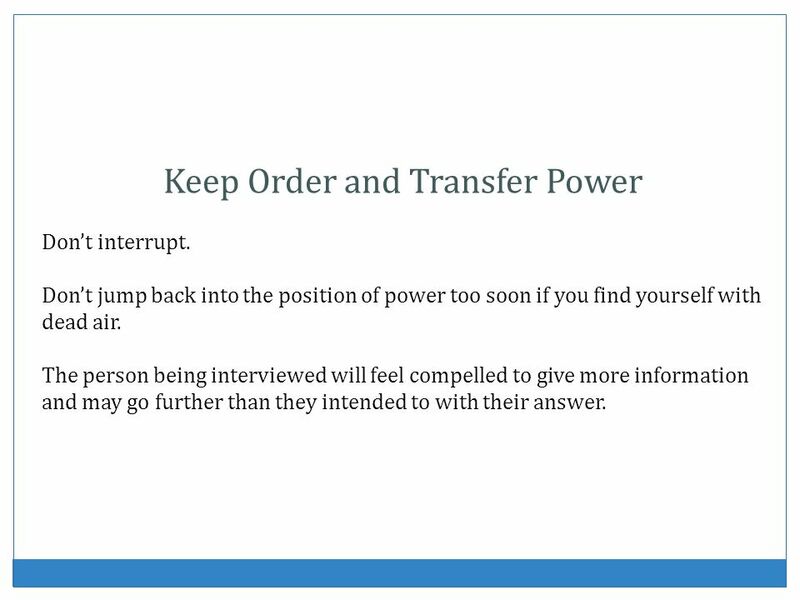 The interviewer keeps control over the interview. 29 Open Questions These questions require more information from the interviewed. That means that the answers contain more than one- or two-word responses. Why do you consider yourself a Democrat or Republican? 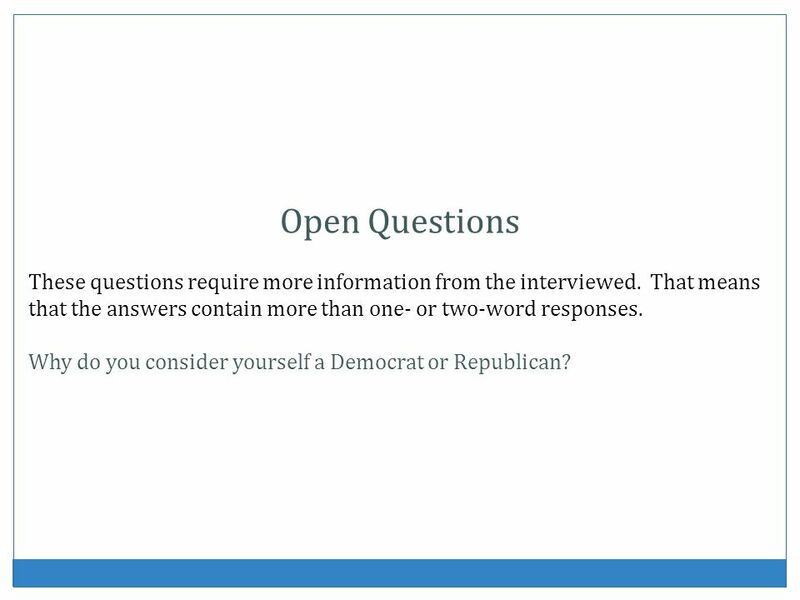 Open questions help the interviewer to analyze more deeply and go beyond the surface to find answers. It gives the interviewed a chance of developing thoughts and opinions. 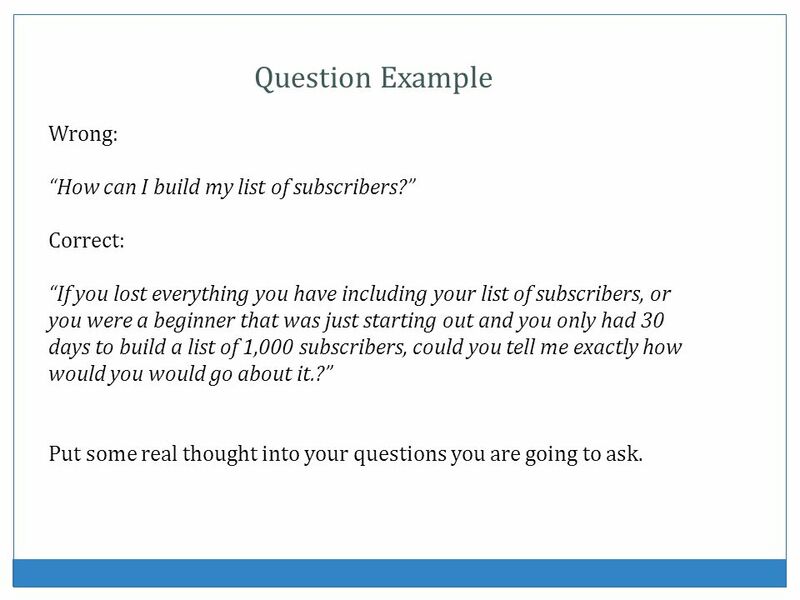 Correct: “If you lost everything you have including your list of subscribers, or you were a beginner that was just starting out and you only had 30 days to build a list of 1,000 subscribers, could you tell me exactly how would you would go about it. ?” Put some real thought into your questions you are going to ask. Don’t interrupt. Don’t jump back into the position of power too soon if you find yourself with dead air. 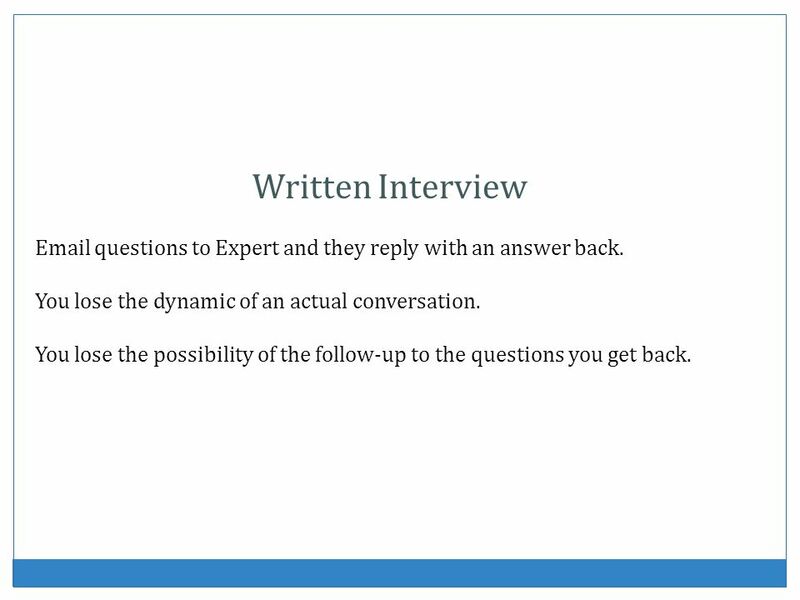 The person being interviewed will feel compelled to give more information and may go further than they intended to with their answer. Learn to use the microphone. Whoever has the microphone speaks. When you are done speaking, use the microphone to transfer the power to the other person by holding microphone in front of them. 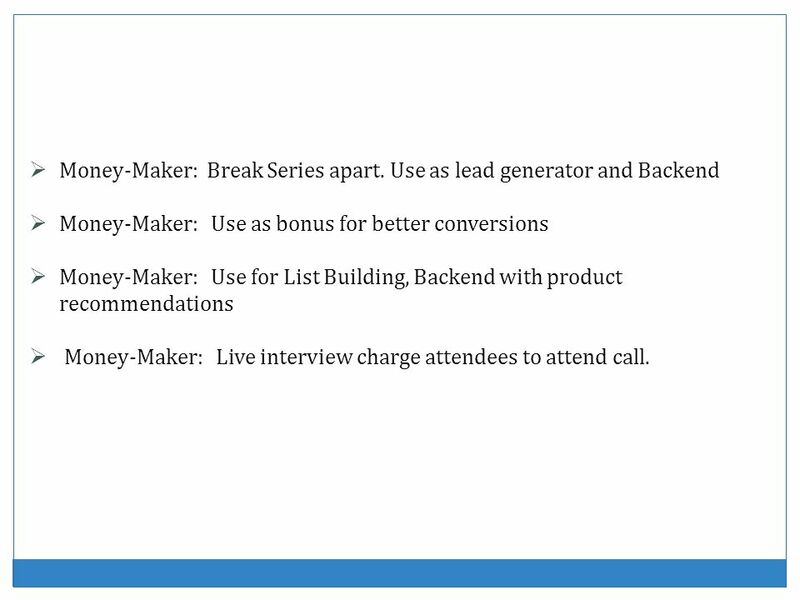 Money-Maker: Use as bonus for better conversions Money-Maker: Use for List Building, Backend with product recommendations Money-Maker: Live interview charge attendees to attend call. 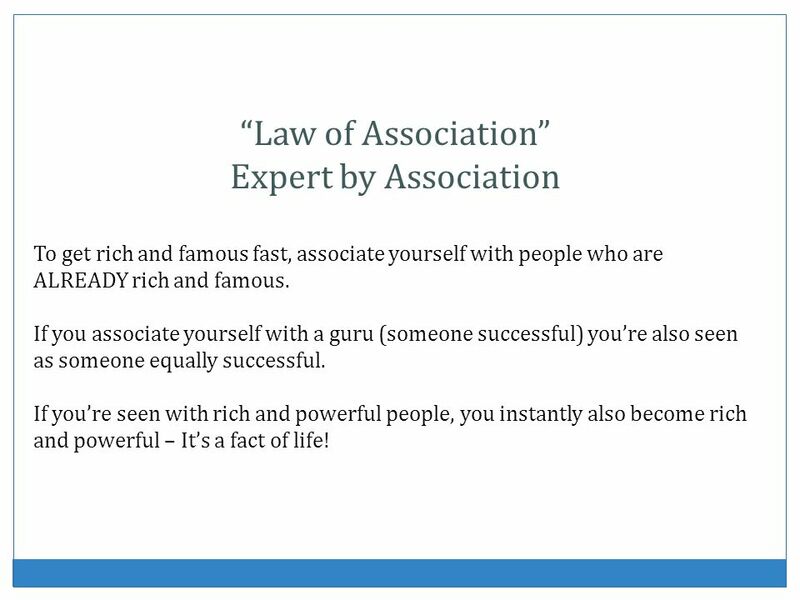 Download ppt "“Law Of Association” Interviewing the Guru." Assignment One Page 1 of 3 Create a list of 10 topics that consist of at least one of the following: passionate about, knowledgeable about, skill, or. Homework Assignment. Assignment One Ready for the next challenge. Great! Time to pick an affiliate product to promote. Go to ClickBank.com and go to the. Using media to present ideas . . . HIRE Experience ! Sacramento Professional Network 1 3 Steps to a Flawless Informational Interview November 26, 2013. Discover How My 11yr Old Daughter is Getting Sales Online And YOU Can Too! UnTapped Traffic Formula Untapped Traffic Formula. + Beginning Blogging by Six Sisters’ Stuff. + Just start! What do you want to blog about? What are you an expert in? What makes you unique? What are you. SEO for Trends to stay on Top Of. The Internet is a huge factor in how marketing is performed today, and keeping up with the latest SEO trends.